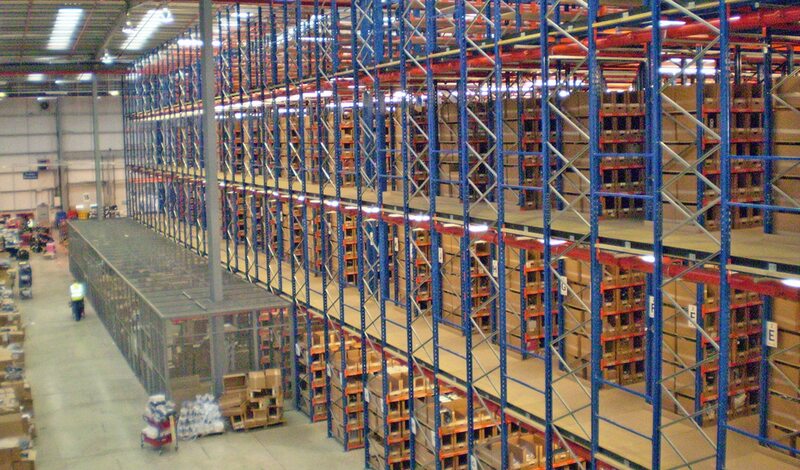 Multi-tier Racking systems are ideally suited for online retailers, clothing and archiving industries, offering high density storage of thousands of different SKU’s. Furthermore with the implementation of a barcode labeling system, multi-tiers offer high speed picking. Multi-tier racking systems are regularly favored over a multi-tier mezzanine as walkways can be incorporated within the racking system, opposed to a multi–tier mezzanine floors which requires the installation of further shelving onto each level, thus reducing initial expenditure. Another advantage of installing a multi-tier racking system is to minimise point loads onto the concrete slab, opposed to a multi-tier mezzanine which often requires the need for expensive floor reinforcement (piling).